Frank Sidebottom was a comedian, musician, writer, artist – and one of television’s most beloved eccentrics. A new documentary shines a light on creator Chris Sievey, the man underneath the papier-mâché head. With his surrealist comedy, Lancastrian accent and outsized papier-mâché head, maverick comedian Frank Sidebottom was something of a folk hero. The character, created and played by eccentric artist Chris Sievey, developed a cult following throughout the ’80s and early ’90s. He was a regular guest on local television and radio, and became an unexpected sensation on children’s TV, known for his musical ditties and oddball hijinks. As a kid growing up in Lancashire, filmmaker Steve Sullivan was one of many people captivated by Frank’s strange genius. Decades after Frank first rose to fame, Steve heard that he was planning a comeback tour and got in touch asking to make a documentary together. “Come on Sunday, bring a fantastic film crew,” came the response. After a full day of filming, Steve made Magical Timperley Tour – a short film about sightseeing in Frank’s hometown. The whimsical featurette included such delights as a trip to the local chippy and a stop-off at the village’s famed postbox (which offered alternate options for both right-handed and left-handed patrons). In short, it was an exercise in looking for the extraordinary in the everyday. In awe of Frank and fascinated by the man who made him, Steve kept in touch with Chris hoping, one day, to take Frank stateside. But in 2010, he received a call to say that Chris had died, quite suddenly. Still gripped by the unanswered question of what would prompt a man to wear a papier-mâché head for close to 20 years, Steve began sifting through an archive of tapes, comics, cassettes and video games in a seven-year quest to know more about the man behind the mask. The result is Being Frank: The Chris Sievey Story, a funny, touching portrait of both Sidebottom and Sievey; a tale of split personalities. With insights from Chris’ family, friends, and colleagues – including Jon Ronson, John Cooper Clarke and Ross Noble – the film reveals the story of a wayward genius. 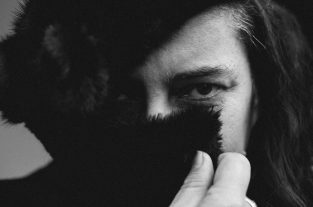 Ahead of its release later this month, Huck spoke to Steve Sullivan to find out more about his BIFA-nominated doc. I think for a lot of creative people, they probably don’t ask themselves, ‘Why should I do this?’ It’s just an overwhelming instinct to just be creative. I think Chris, from a very, very young age, had that burning inside him and he didn’t feel the need to justify that to anybody. 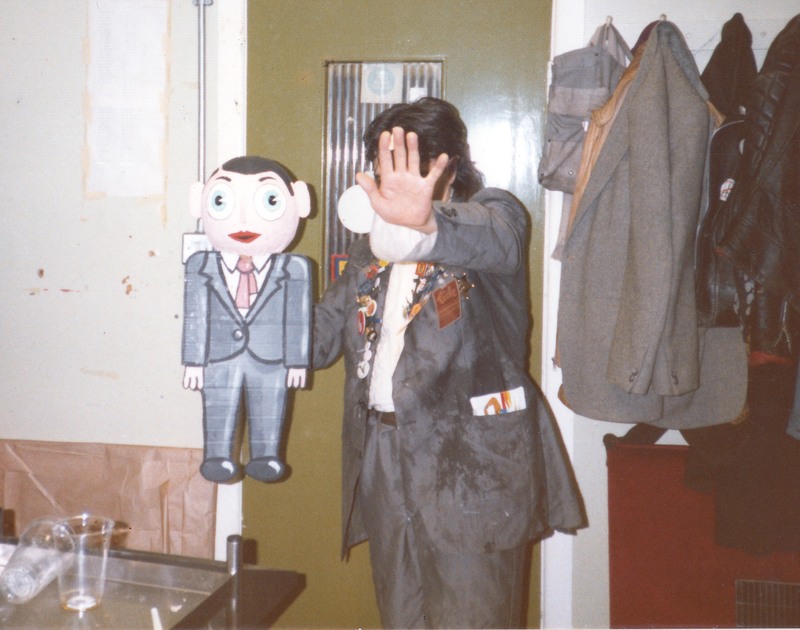 In the ’70s it was to make work as Chris Sievey under his own name, and in the ’80s it became natural to him to create a persona and to mock his own lack of success and people enjoyed that, and so he carried on doing it. It evolved into this universe which became Frank’s world. Frank has his own friends, his own thoughts, his own things he was interested in. It became a reality that was much larger than Chris’. How would you explain Chris’ creativity and all the myriad of things he did? He’s unique in that he could work in any medium and he was self-taught in every medium. He could do his own thing. I don’t think there’s many people like that. There are lots of phenomenally talented, self-motivated, self-taught artists, but they usually have one thing that they do. 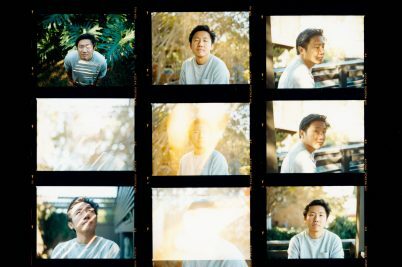 For Chris it’s rock-and-roll, it’s comedy, it’s stop motion animation, it’s comics, it’s illustration, it’s absurdity in public – it crosses so many mediums. I don’t know whether he considered himself to be an artist – he may not have been pretentious enough to claim that for himself – but he undoubtedly was. Chris is [even] more of an outsider artist even than Frank Sidebottom. I remember asking Donald Smith – who ran the Chelsea Space Gallery – and he said, ‘Well, he can’t be an outsider artist because we’re a prestigious gallery and we gave him a solo show.’ I said, ‘You gave Frank Sidebottom a solo show.’ The actual artist was still hidden inside the creation. Chris is an outsider artist stuck on the inside of Frank Sidebottom. Was Chris was aware of his originality? I think he wanted there to be an audience for his work but I don’t think he was in anyway bothered about how big that audience was. There’s a story in the film that his agent tells, there was a gig in Normans Piano Bar in Ambleside and only three people turned up. He still did the full two-hour show – which was punishing to do – with the same energy as if he was playing in front of 50,000 people. The only reason to have a bigger audience is to have more money, but I don’t think Chris was worried about money. He cared about the direct communication with his audience. Do you think he needed an audience – to feel validated? He grappled with depression in his life. I certainly think that at times in the ’90s he was depressed. When he was depressed, he wasn’t quite in control of his life. He didn’t have so much of a plan, he was just reacting to being depressed. 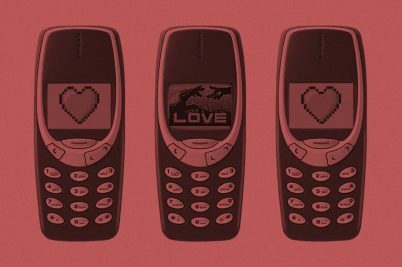 To me, the depression comes down to the battle between Chris and Frank – what started out as a joke became something that eclipsed Chris. Even though it was his choice to do Frank, and even though it was his work to make Frank, it’s Frank’s world and it’s Frank’s perspective on the world, which was only one aspect of Chris. I don’t think he could express entirely what he wanted to do. 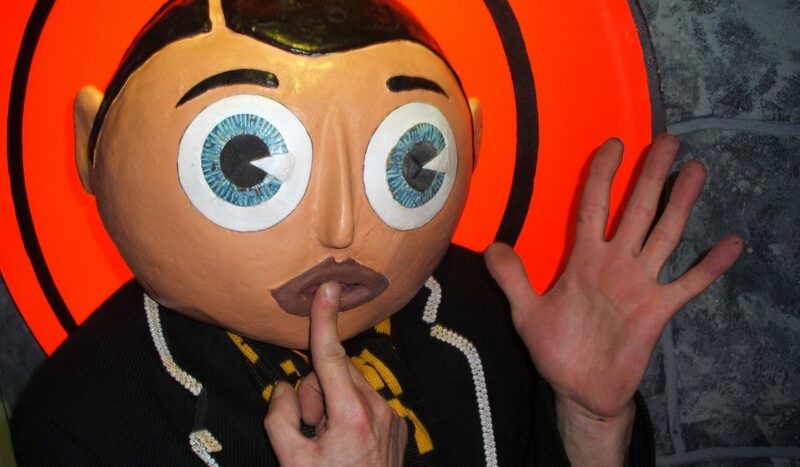 He realised he had so much more to give as Chris Sievey – that Frank was just one aspect of his creativity. I think he was working towards a point where he wanted to become Chris Sievey again. 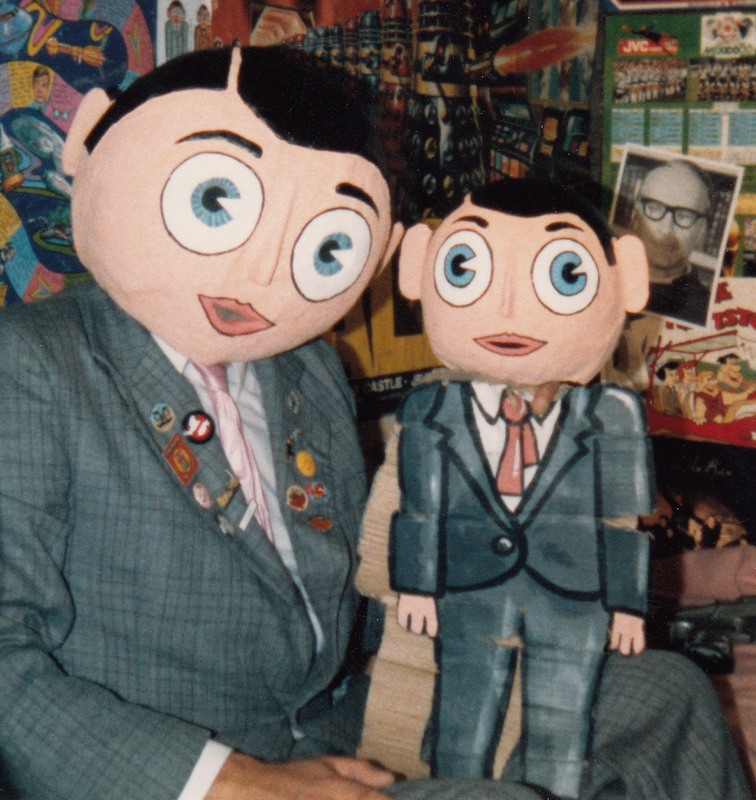 Whether that would have meant he’d have stopped doing Frank completely isn’t clear, but if he had taken the head off and said, ‘This is Chris Sievey’, I think it would have broken the spell that Frank cast. I think it’s only right that Chris is recognised as the genius behind this. 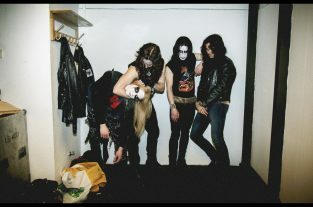 That, for me, was the intention of making the documentary. 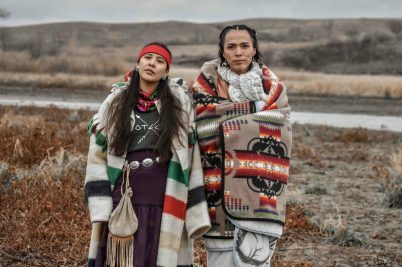 Is the film a lesson for how we present ourselves in the world? I guess, if there’s a parable to it, it’s how people can become trapped by their creations and the fame of their creations. Even people that trade under their own name, often that’s not them – it’s a persona that they’ve constructed and honed. The real person is different. I don’t think Chris ever expected to be trapped by Frank, I don’t think he thought it’d affect him in any way. It was just the latest creative thing he thought to do. I don’t think he was someone who ever thought there would be consequences to anything and maybe he was surprised when those consequences caught up with him. What do you think his legacy will be? It’s a very hard to stay afloat in any kind of creative career, particularly if you’re doing work that exists at the edge of the mainstream. I have huge respect for his longevity and his self-belief and I hope some of that self-belief is passed on to the audience. If someone came to me and said, ‘I saw that film and I rushed out and I recorded a song’, or, ‘I did my own illustration’, or, ‘I found my own creative voice and realised I’m just as unique as he was’ – that would be enough. Chris didn’t have money or any contacts in the biz, he had nothing but his own self-belief and he managed to make an entire career out of what he wanted to do. I think that’s his legacy. You spent close to a decade making it. 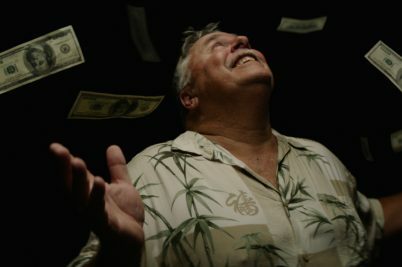 That level of personal investment comes across in the final feature. I care desperately about who Chris was, and why he did what he did. I didn’t know when I set out to make this what the answers would be. I didn’t even know how big his life would be. His family and the people that knew him best have been closely involved all the way through – I relied on them to tell me if I’m going wrong, or if what I was making didn’t sound true. At every step they said, ‘Keep going.’ It’s why this film is called Being Frank. It’s about a man whose life was a mystery. When I set out to make this, I said to everyone I spoke with, ‘It’s time to be frank about him, it’s time to be honest about who he was, what he was like.’ He was a genius, he was also a liability at times. He hurt some of the people closest to him without meaning to. It’s all in there in the documentary, the intention was to make something honest. I don’t think he’d have wanted it any other way. My first edit of the film was everything I thought was essential to know about Chris, the bare minimum you’d need to know to make sense of him – it was 11 hours and 18 minutes. It’s vast, the amount of stuff that he managed to cram in to a life that was so tragically shortened. 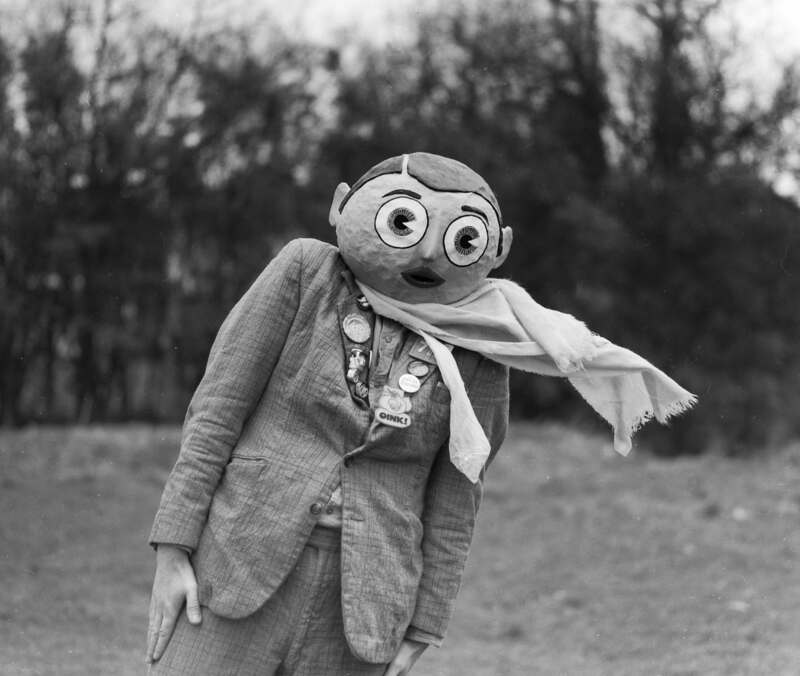 Being Frank: The Chris Sievey Story is in cinemas from March 29, 2019. Follow Thomas Curry on Twitter.